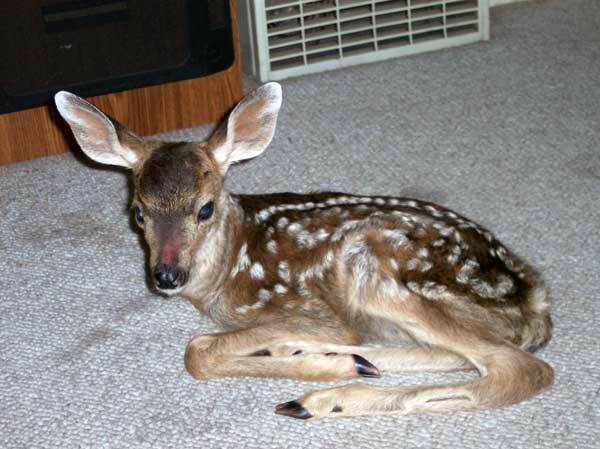 Dedicated to the care and treatment of injured and orphaned wildlife. Remember that Baby Fawns should be left alone for at least 24 hours and if you believe after that care is needed call an experienced wildlife rehabilitator or fish and game officer. Do not mess with them! This entry was posted in Wildlife Picture of the Day and tagged Baby Animal, Deer, herbivore, Mammals, white tailed deer. Bookmark the permalink. Your donations are safely handled through PayPal. Please use our Contact Us page.